Home Additions or room additions are one of the most common ways to expand the usable living space in your home and really end up with the home that meets all of your needs. Your reasons for a home addition might be because you need more space for your growing family, you'd like to add a home office for your business, or maybe you'd like to add an entire new story to your home, which would double your single level living space without taking up more space on your property. 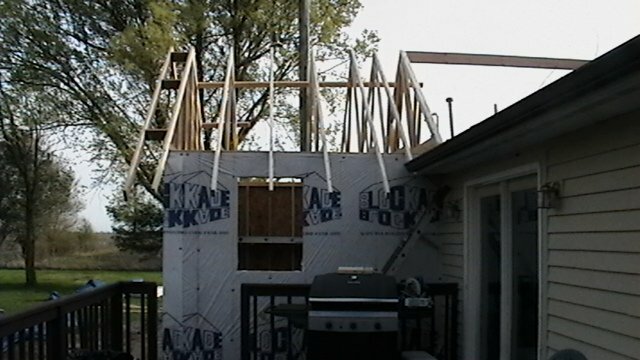 Whatever your reasons for a home addition we can help you build it. RB Contracting will assist you in every phase of your home addition, from drawing up the plans to pulling out all of the local building permits. We will carefully plan and schedule every phase of your project, working directly with you the customer to ensure 100 % customer satisfaction. With complete home additions there is usually exterior construction involved, you may need a new foundation, you will need to have roofing, siding, painting and the entire gambit of building trades working on your project. We can provide all of the services you'll need, from one place. RB Contracting can work with your architect or we can recommend one to you. The inconvenience of adding on an addition to your home isn't the most appealing for any homeowner but we'll bend over backwards to make sure you're happy and comfortable during your project. Transforming your current home into your dream home is what RB Contracting does best. Your new addition will improve your quality of life and make your home more enjoyable. Not only that, but a professional addition can make a big positive impact on the resale value of your home, too.